Derek Jeter of the New York Yankees recently hit a home run to join the 3,000 hit club. Only 28 players in Major League Baseball history have reached this milestone. Jeter became only the second player to reach 3,000 hits with a home run. So when Christian Lopez caught the home run, he had a souvenir of immense value, some say as high as $250,000 to $300,000. Mr. Lopez however returned the ball to Jeter, because he felt it was the right thing to do. What would you have done with the ball? The Yankees lavished prizes upon Lopez for his altruistic act, including free seats and other memorabilia. 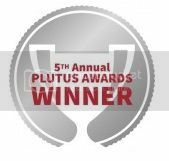 The only problem with this is, these prizes are taxable and the IRS may want their share of taxes. 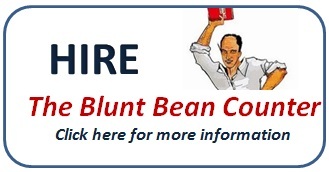 A while back I posted The Blunt Bean Counter video. I had widely differing views on the video; some really liked it and some, well not. At the same time I was making the first video, I thought it would be a good idea to make an animated version of my most popular post, "CRA Audit-Will I be selected? for those who are too lazy to read the print version. I was going to scrap this video, but decided after spending thousands (okay, twelve bucks) on production to post it anyways. This will most likely be the last time I inflict upon you an animated video.